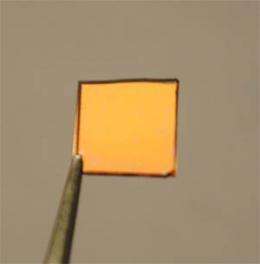 (PhysOrg.com) -- A new kind of screen pixel doubles as a solar cell and could boost the energy efficiency of cell phones and e-readers. The technology could also potentially be used in larger displays to make energy-harvesting billboards or decorative solar panels. 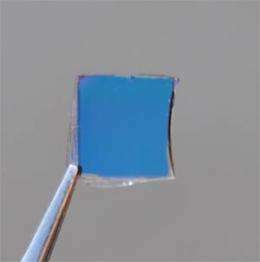 Jay Guo, a professor in the University of Michigan's Department of Electrical Engineering and Computer Science, has developed the reflective photovoltaic color filter device that can convert absorbed light to electricity. The research is newly published in the current print edition of ACS Nano. In traditional LCDs, less than 8 percent of the backlight actually reaches a viewer's eyes. The rest is absorbed by color filters and polarizers, Guo says. "This absorbed light is totally wasted," he said. "It becomes heat. You can feel it if you put your hand close to a monitor. Why not try to harvest some of this energy?" That's just what he has done. Guo's new filter can convert to power about 2 percent of the light that would otherwise be wasted. This could add up to a significant amount in small electronics, he says. The researchers created the new filter by adding organic semiconductor solar cells to an elegant and ultra-thin color filter, similar to what Guo's lab had created over a year ago. That filter is composed of nano-thin sheets of metal with precisely spaced gratings that act as resonators, trapping and reflecting light of a particular color. The color depends only on the amount of space between the slits. At just 200 nanometers thick, the new filter is 100 times thinner than traditional colorant-based filtersa feature that would be attractive for use in future ultrathin colored display devices. 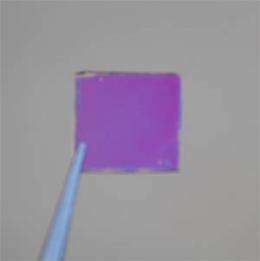 The paper is titled, "Photonic Color Filters Integrated with Organic Solar Cells for Energy Harvesting." The university is pursuing patent protection for the intellectual property. Energy is less harmful and recoverable easier, than the rare elements and organic waste in life environment. The development of energy effective solution is OK, until it doesn't increase the material and production cost too much. That is true rawa1. I do not know the numbers in this case, but there is definitely a tipping point where solar panels on a laptop just aren't worth the cost. Still, its a damn cool app. I've been wondering when this will be done. There is simply no downsides to having one of these on your computer (minus the costs).